This striking work is from a series of "body prints" that David Hammons made early in his career, soon after his arrival in Los Angeles in 1963. To create these prints, he made impressions of his own face, arms, and torso by covering his body with oil or margarine, pressing it against a sheet of paper, and then sprinkling pigment on the surface. For America the Beautiful, the artist used lithography to add the American flag that envelops the central figure. Hammons created this work in 1968, toward the end of the civil rights movement and the beginning of the Black Power movement. 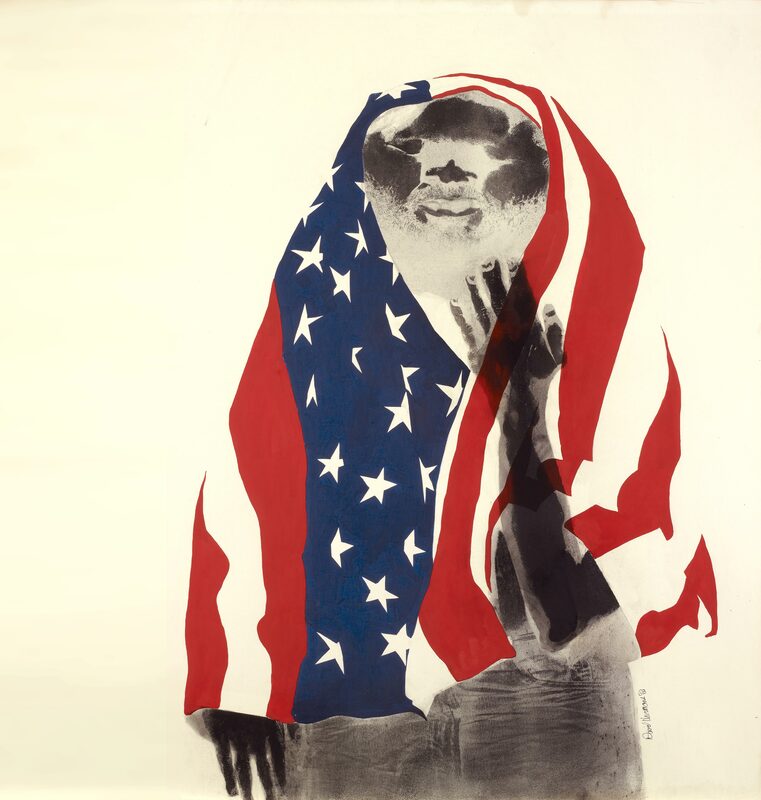 The assertive combination of a patriotic symbol with the body of a black man (the artist) underscores the heightened racial tensions in the United States during this period. "America the Beautiful. "” Now Dig This! Art in Black Los Angeles, 1960–1980 Digital Archive. Los Angeles: Hammer Museum, 2016. https://hammer.ucla.edu/now-dig-this/art/america-the-beautiful.